Korean Style Pork Chops – a simple recipe for Korean style marinated pork chops, resulting in melt in your mouth, super delicious pork chops. Best ever! 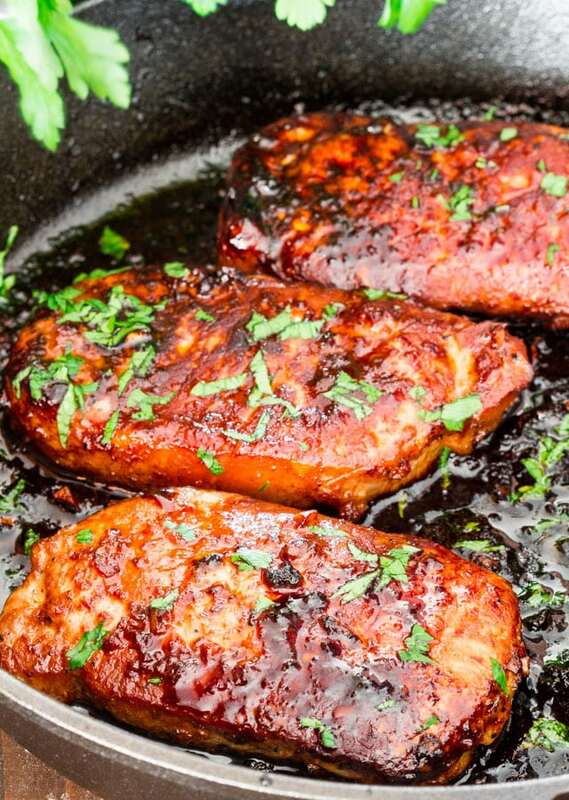 So simple to make and really these pork chops are an ideal dinner to make after a busy work day. Serve them with some mashed potatoes or your favorite salad. No fuss, not a lot of dishes to clean, my kinda dish! In a medium size bowl whisk together the soy sauce, honey, garlic, ginger, sesame oil and sriracha sauce. Pour over pork chops and let marinade for about 20 minutes. Heat the olive oil in a large skillet for medium high heat. Add pork chops, without marinade, and cook for about 5 minutes for the first side, or until it gets a nice brownish color. 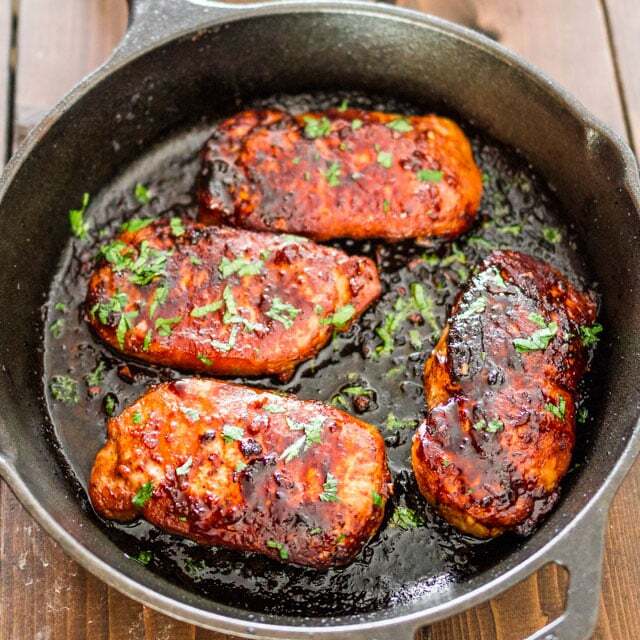 Flip the pork chops and pour the remaining marinade over them. Cook another 5 min on this side. Place the skillet in the oven to finish cooking them. Roast for about 10 minutes, or until pork chops are completely cooked through.